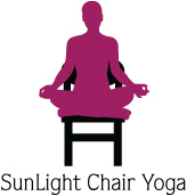 Ahimsa: nonviolent eating - SunLight Chair Yoga: yoga for everyone! Nonviolence for ourselves, the earth and the animals. Vegan recipes, vegetarian articles and animal rights. Ebook: 197 page cooking and yoga ebook with video links. Click here to download ($4.99) Ahimsa: nonviolent eating by Stacie Dooreck; iBooks iTunes for iPads, iPhones & Apple computers. Sold at the NY Yoga Ranch and CA Yoga Farm boutiques. Learn how to eat and cook with kindess. Eating a vegetarian and vegan plant based diet not only helps the animals, but improves our health as well as the environment. Making choices to eat with compassion benefits the earth, the animals and our own bodies and minds. Enjoy the information, recipes, yoga and breathing practices, chair yoga and yoga for digestion with videos and meditations offered in this ebook. "Nothing will benefit human health and increase the chances of survival of life on earth as much as the evolution to a vegetarian diet." As a lifelong vegetarian (due to my father's knowledge from the yogis and mother's dedication to learn healthy vegetarian cooking), not eating living beings is as natural to me as breathing air. I see all living and breathing beings as sentient, conscious forms of life, not food for humans. Animals take care of their babies and want to enjoy their lives as much as humans do. They feel and fear pain as all humans. The slaughter and eating of innocent animals is creating harmful impacts to people's health, the environment and the animals. Yoga teaches us that to live in harmony we can incorporate proper exercise (yoga postures), proper breathing (pranayama), proper relaxation, meditation, positive thinking and a non violent vegetarian diet. Due to modern day factory farming and even 'free range/cage free' treatment of animals, which often leads to suffering and death in the animals involved, in most cases now a vegan (no dairy) diet is the least harmful. Eating in a way that aligns with our values of compassion and sustainability is apart of yoga, just as much as the yoga asanas (postures) are and other aspects of the lifestyle (serving humanity, meditation, positive thinking and proper relaxation). Living in a conscious way that does not harm or use animals for food, entertainment or in any way that creates suffering to others brings more harmony to ourselves and the world around us. 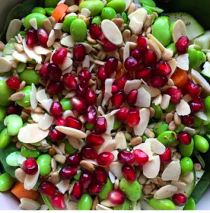 This is the most popular salad dressing in the Sivananda Ashrams and centers worldwide. Try some on your leafy greens! Blend 1 C oil, 1/2 C tamari, 1/2 C lemon juice and 1 to 2 C sunflower seeds until you get a smooth and creamy consistency. If the consistency is too thick, add some water; if too thin, add more sunflower seeds. To this mixture, you can add any herb or spice you prefer. Taste and adjust. Makes 4-5 cups. sliced almonds, sesame seeds, parsley flakes (or add fresh organic greens). Add some oil and fresh squeezed lemon. Simple & nutritious!